How does one weather racist hatred on social media? On-line trolls are attacking the Duke and Duchess of Sussex, whose first child is due in April. Last year, an image called for Prince Harry to be shot for being a race traitor for marrying Meghan Markle, according to a March 10 NPR interview. The palace has pre-blocked the “N” word from comments as well as emojis of swords and guns. 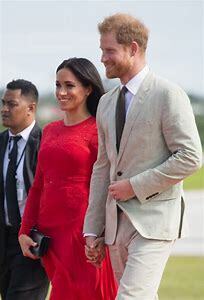 To the haters, Meghan Markle is a lightning rod because she is a former actress, divorced, and a bi-racial American who ascended the highest levels of British royalty through marriage to Prince Harry. Strong evidence points to neo-Nazi groups in Britain and the U.S. for fueling an envionrment of sexist and racist harrassment. Investigations are ongoing. This gave me pause because I’ve received insulting remarks on-line and while I never strike back in kind, the feelings of hurt sear into me. In a nod to mathematics and March 14 as The Day of Pi, I am not even getting 3.14159 of what is thrown at The Duchess. A cause driven and action based mindset is what I want to keep. I imagine the majority of good folks want that, too, but divisions are inflamed through social media as some new outrage pops up daily. At one time, passionate debate ruled the day. Now it appears opposing sides want only passionate annihilation of the other. So it is inspiring when Meghan Markle, an unfair target for abuse, chooses to ignore the trolls and get on with her philanthropic works and purpose. She makes paying no nevermind look so easy. The viscious may always be with us, but pull as they might, we don’t have to tumble into the pit with them. This column ran on March 11, 2019 through The Patriot Ledger and nationally through GateHouse Media.